manufactured and environmentally aware product design for contemporary bathroom & kitchens. customers greater access to high quality product by dealing directly with the designers. The unique blend of construction and interior design credentials of the company directors Daren Genner and Simona Castagna, provides customers with the benefits of product selection advice, installation or maintenance tips and if desired, a bathroom or kitchen design service with the option of construction and project management. 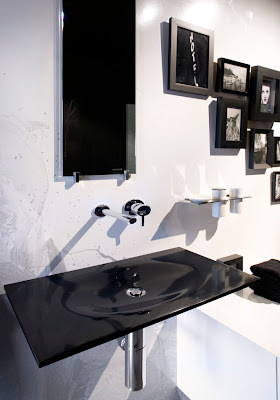 purchase of a single washbasin through to the design and installation of a total concept. technology to reduce tap waterflow from the average 28 litres per minute to 4-6 litres per minute. today become a trend in presenting in-situ product displays. 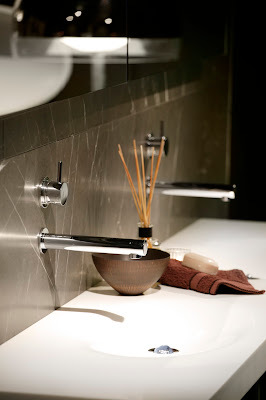 of porcelain basins and chrome taps,” says Castagna. “We wanted people to engage with the brand and engage with us as designers to get a sense of the experience, rather than expose them to a sales pitch, ” concurs Genner. “To offer a complete solution to the market, Minosa also supply a very select range of fixtures. While these products are not manufactured by Minosa they must align with the integrity and aesthetic of Minosa products”, emphasises Castagna. It’s keeping things at a boutique operational level that’s core to Minosa. Not only is Minosa family owned and run, likewise they work with a local network of four other niche family run businesses or artisans, each specialist in a particular process. “Minosa washbasins are individually created from Corian® by Du PontTM by a local artisan. All of our products are specially made to order by hand and can be ready in 10 days, furniture 4-6 weeks, so they are very bespoke,” says Genner. Coupled with beautiful design and craftsmanship is Minosa’s commitment to using the finest materials available such as Corian® by Du PontTM as the material of choice for washbasins and then striving to exceed that in workmanship. KBDI Design Awards 2009 - Bathroom Designer of the Year NSW; Finalist Kitchen Designer of the Year. 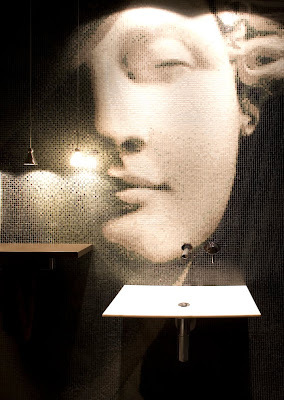 IDEA Inside Magazine Product of the Year Awards 2008 – Finalist Bathroom Product; Finalist Emerging Design Studio. 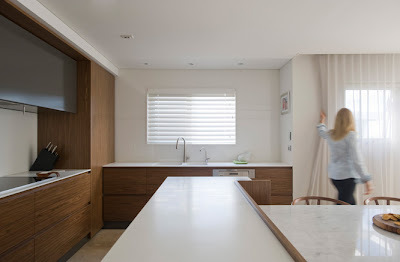 Minosa specialises in the residential market and also works closely with developers to deliver unique solutions that add value to properties.